What an adorable gift for a teenage girl! Lined in pink velvet and comes with it's own key. For $6 more, you can personalize it! 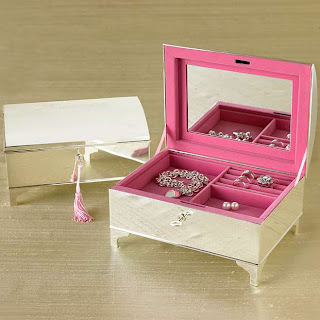 Nab this Teen Jewelry Box from PBteen for $89.00.